Designing and Implementing Global Selection Systems provides insights and essential management tools for planning and implementing an effective global staffing system. Ann Marie Ryan is a professor of organizational psychology at Michigan State University. She has published extensively in the area of the quality and fairness of employee selection methods. Nancy Tippins is the Senior Vice President and Managing Principal for the Selection Practice Group of Valtera Corporation where she is responsible for the development and execution of firm strategies related to employee selection and assessment. 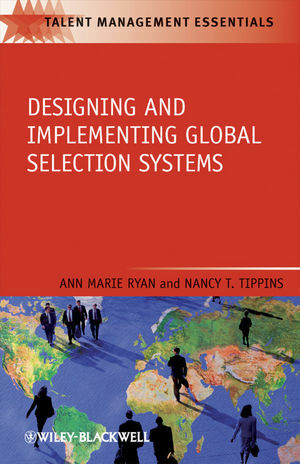 Chapter 1: Challenges in Developing and Implementing Global Selection Systems. Chapter 2: Characteristics of Good Selection Systems. Chapter 3: Cultural Differences and Their Impact on Selection Systems. Chapter 4: Legal, Economic, and Other Considerations. Chapter 5: Best Practices in Design of Global Selection Systems. 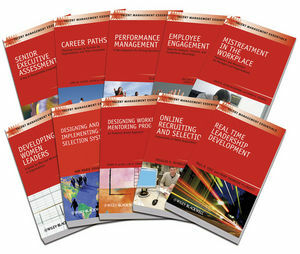 Chapter 6: Best Practices in the Implementation of Global Selection Systems.